623-KOS-1000B Features: -Four point design allows slug to drop automatically without splitting.-Style: Cutting Diam:1 7/32'', Inc.:Drive Screw, Wt. :3lb - Price is for 1 Set.-Style: Cutting Diam:2'', Inc.:Drive Screw, Wt. :2lb - Price is for 1 Set.-Style: Cutting Diam:2 1/2'', Inc.:Drive Screw, Wt. :4lb - Price is for 1 Set.-Style: Cutting Diam:3'', Inc.:Drive Screw, Wt. :5lb - Price is for 1 Set.-Style: Cutting Diam:3 1/2'', Inc.:Drive Screw, Wt. :10lb - Price is for 1 Set.-Style: Cutting Diam:4'', Inc.:Drive Screw, Wt. :11lb - Price is for 1 Set.-Style: Cutting Diam:1'', Inc.:Drive Screw, Wt. :1.80lb - Price is for 1 Set.-Style: Cutting Diam:1 1/4'', Inc.:Drive Screw, Wt. 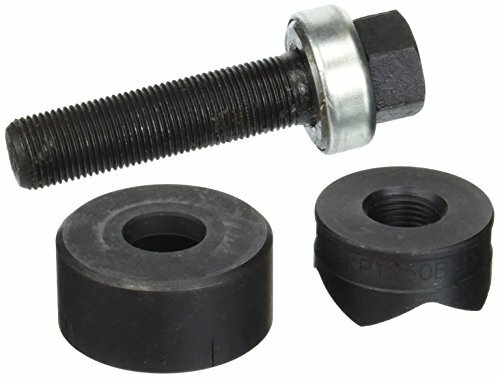 :1.80lb - Price is for 1 Set.-Style: Cutting Diam:1/2'', Inc.:Drive Screw, Wt. :1 1/2lb - Price is for 1 Set.-Style: Cutting Diam:3/4'', Inc.:Drive Screw, Wt. :1 1/2lb - Price is for 1 Set. Dimensions: -Cutting Thickness: 12 gauge (stainless steel) [Max], 10 gauge (mild steel) [Max]. 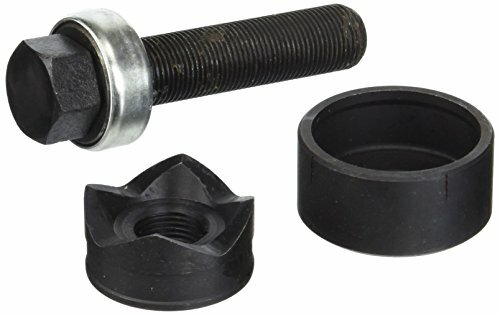 Gardner Bender KO702C Metal Knockout Seal, ¾ Inch Conduit Size, Marked Size, Rust-Proof Galvanized Steel, 16 AWG Steel, ⅜ Inch Thread, Embossed - Self Centering, For Knockout Punch / Die Conduit, Cover, 3 Pk.